Happy Night Club - Episode 1 (Secret Happy Night)	Succubus Interactive / Double Mixte (France), Ville de Nantes (France), 2009 Play it Now ! 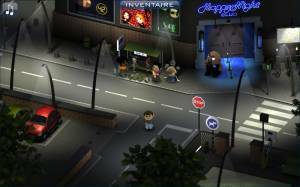 "A serious game released by the french town "Nantes", to raise consciousness about the danger of alcohol"
A serious game released by the french town of Nantes, to sensitize teenagers about the risk of over-alcohol and binge drinking. In this point & click adventure game, you play as a secret agent sent on a mission in a night club. Will you be able to investigate without drinking too much, in order to stay clear enough to fulfill your mission?